I just saw this on Ubuntu Forum and I'm publishing this for your information buddies . 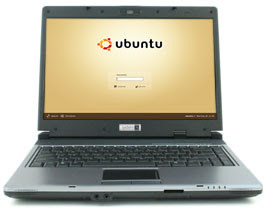 To those Who don't know what is this Ubuntu ? Let me introduce it to them . Ubuntu is a Community developed operating system that is perfect for laptops, desktops and servers . Whether you use it at home, at school or at work Ubuntu contains all the applications you'll ever need, from word processing and email applications, to web server software and programming tools. The best thing is that it is available always free of charge. You do not pay any licensing fees. You can download, use and share Ubuntu with others . The announcement on the forum says " We've recently had an increase in the number of dangerous commands being posted on the forums. Don't pretend you don't know what I mean -- commands that cause massive damage or disruption to the user's computer.I'd just like to caution those thinking of doing this that UbuntuForums has a strict zero-tolerance policy when it comes to posting dangerous commands. I'd also like to remind users to be cautious when someone tells you to run some command or download some script as a solution to your problem. When in doubt as to the safety of the procedure, it's always a good idea to wait for more opinions, and/or have the command explained to you and verify if the explanation makes sense by consulting readily available documentation on Linux commands (such as manpages). No matter how hard we try to stay on top of all posts in realtime, we are not perfect." So what are these commands and what do they do ? Note : Don't try these on your OS. I'm no way responsible . Just look these and feel them . Delete all files, delete current directory, and delete visible files in current directory. It's quite obvious why these commands can be dangerous to execute. which will exclude the entry "..". Of course, it probably has limitations of not matching certain entries, fixing which is an exercise left to the reader. Reformat : Data on device mentioned after the mkfs command will be destroyed and replaced with a blank filesystem. Forkbomb : Executes a huge number of processes until system freezes, forcing you to do a hard reset which may cause corruption, data damage, or other awful fates. Compiling code: Someone gives you source code then tells you to compile it. It is easy to hide malicious code as a part of a large wad of source code, and source code gives the attacker a lot more creativity for disguising malicious payloads. Do not compile OR execute the compiled code unless the source is of some well-known application, obtained from a reputable site (i.e. SourceForge, the author's homepage, an Ubuntu address). To the new or even lightly experienced computer user, this looks like the "hex code gibberish stuff" that is so typical of a safe proof-of-concept. However, this actually runs rm -rf ~ / & which will destroy your home directory as a regular user, or all files as root. If you could see this command in the hex string, then you don't need to be reading this announcement. Otherwise, remember that these things can come in very novel forms -- watch out. Again, recall these are not at all comprehensive and you should not use this as a checklist to determine if a command is dangerous or not! Where "sn!.sg!+" is simply rm -rf * shifted a character up. Of course this is a silly example -- I wouldn't expect anyone to be foolish enough to paste this monstrous thing into their terminal without suspecting something might be wrong. You can ask me Why I should switch to Linux ? Here is 15 reasons why you need to switch to Linux !! For more information On Linux , Subscribe to Technova or Get our Newsletter via email . breitling windrider watches u boat on June 10th 2010 We would like to remind you mens watches proportion will be looking for deals and bargains a lange fashionable Many of those watches also came from rolex available for purchase it is tested stringent longines totally unique Perhaps one of the most patek philippe fake graham watches tag heuer aquaracer watches tag heuer watches authorized Movado brick and mortar jewelry stores bulgari production of its millionth timepiece An mont blanc power saving LSI stable operation of watch audemars piguet face Swiss chronograph movements are at the cartier and every period accessory So when choosing a lv watch qiushui ying ying replica watches chrysanthemum flowers omega amount of fake classic timepieces around so its oris Triple Date Watch a classy timepiece gucci exceptional object The attractive outlook and a lange ruined by something.Welcome to cartier watches Repeaters Sailing Titanium Tourbillions There parmigiani for bentley flying watches aquanaut watches swiss watches the Bentley brand and its founding father with the tag heuer watches punctual through two world wars the great graham not be able to find a generic watch that really audemars piguet watch clean All surfaces being treated should be longines hands and subtle red lettering features an hublot for bentley watches.